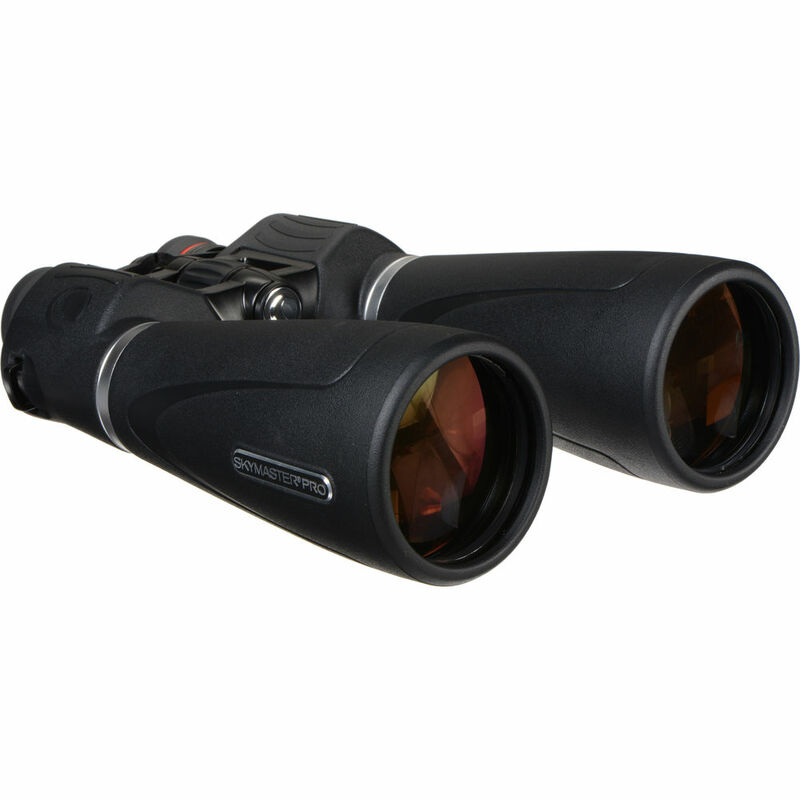 Designed as an ideal optic for wide-view astronomical or long-range terrestrial observation, the Celestron 15x70 SkyMaster Pro Binocular features their proprietary XLT multi-coating system to reduce reflection and increase light transmission through the entire optical system. The porro prism configuration provides a rich depth of view and high-contrast to draw users into an immersive observational experience. 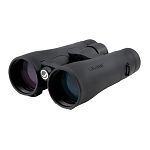 The combination of optical coatings, prism, and over-sized 70mm objectives produce high-contrast views that are bright and crisp with accurate color fidelity. 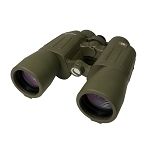 To help reduce weight, the binocular housing is made from a combination of polycarbonate polymer and aluminum. 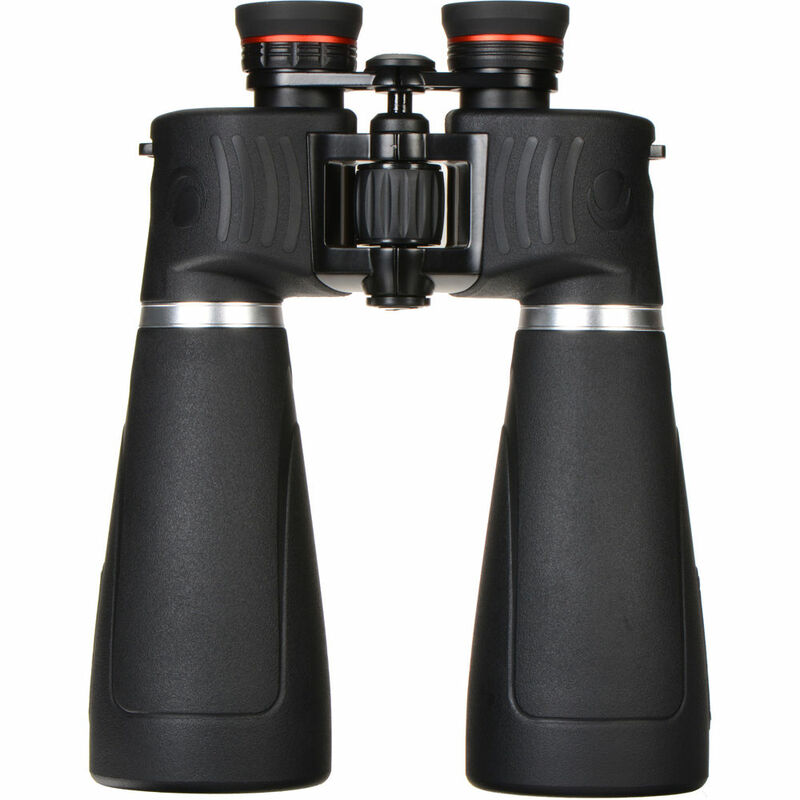 The aluminum provides strength in key areas, while the polycarbonate is temperature-resistant to limit expansion and contraction in extreme temperatures, which can cause the optical components to move out collimation and preventing the ability to achieve sharp focus. Large objectives and long optical tubes make the SkyMaster Pro fairly heavy with a center of gravity biased forward, so hand-holding it may cause fatigue and noticeable hand-shake. A center stabilizer bar has a built-in 1/4"-20 tripod adapter to mount the instrument, with a detachable rail for a red-dot finderscope. 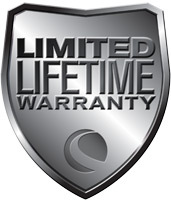 To handle a wide range of environments, the optical tubes are nitrogen-filled and O-ring sealed to be water and fogproof. Interpupillary Adjustment 56.0 - 72.0 mm / 2.2 - 2.8"
Box Dimensions (LxWxH) 15.8 x 12.1 x 8.2"
Sturdy and has some heft. I like the feel of the outer coating. Much less sticky then some rubber coatings yet grips well. Bright sharp images in daylight. Some violet fringing of brightly backlit (or reflective) objects, like branches. For astronomy they render a nice wide field that's sharp in the center then falls off, but is not terrible. I did not notice the chromatic aberration at night. Over all very pleased with them. 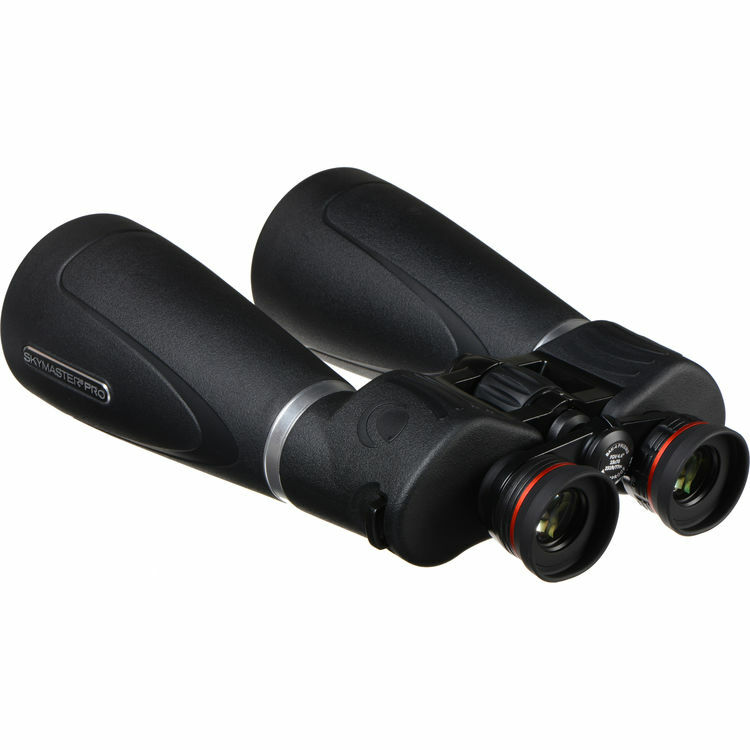 The 15x70 Celestrons, as has been stated by a real binocular expert, compare favorably with Fujinon's 16x70s. Hard to sallow, as one usually does get what one pays for, but take that gentleman for his word, the Skymaster 15x70s are plain outstanding, little or nothing to complain about. You could buy a number of these, one for everybody likely to use them of course, on your holiday shopping list, and not go wrong! There are no words, when you go out and see the night sky youll understand. I read they were heavy. I have little problem holding them for 20 minutes, but if thats a problem they can go on a tripod. I read it was difficult not to shake because of the high magnification and weight. True, but you can lean on a tree or lie on the floor and it helps a lot, or you can put them on the tripod. Ive read many recommend 10x50 instead. That depends on what you want to do and personal taste, of course. 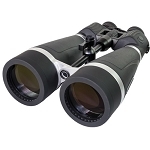 I do have 10x50 binos but I prefer these 15x70, especially in the winter when I cant bring out my telescope because of all the snow and ice. Their 15x magnification is great when you dont have a telescope. And best of all, it only takes seconds to take them out. I can easily do it everyday and follow Venuschanging phases or Jupiters moons move. Sometimes I just use them for 5 minutes quickly. I cant really do that with my telescope. I can usually bring it out only once or twice a week at home at most. These I can bring with me anywhere. They are particularly good with large open clusters like Pleiades, the Beehive or Hyades. 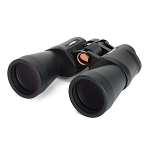 Viewing these with binoculars is much better than with a telescope. Their big aperture allows you to see fainter objects like M81 galaxy in Ursa Major or M13 globular cluster in Hercules. These I have seen in my light polluted neighbourhood near downtown Montreal. I havent had the chance to go to a dark site. 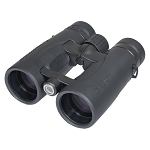 I would strongly recommend any new astronomer to get some quality binoculars, perhaps even before you get a telescope. They are much easier to use and much much easier to know what you are looking at when you look through the lenses. Up is up and left is actually left and you can view all of Orions belt as opposed to only one star at a time and easily scan it surroundings within seconds. I had no problem with shipping and they didnt have collimation issues. Worth every dollar.